Label of a 100% Corvina wine. The production regulation of a denomination such as Valpolicella and Amarone are not eternal and can be changed from time to time to meet new needs of producers or of the market. In 2010, the year from which Amarone denomination was transformed from DOC to DOCG, the production regulations were also amended. The most important change concerned grapes that can be used to produce Amarone. First of all, Molinara become optional. Producers can continue to use it in percentages not exceeding 10%, but it is no longer mandatory. The other important change concerned the maximum percentage allowed of Corvina varieties (Corvina and Corvinone), which increased from 60-70% to 95%. This means that today it is possible to make Amarone with almost all Corvina grapes leaving a meagre 5% to Rondinella. Many producers continued to use the old recipe (60-70% Corvina, 20-30% Rondinella, 10-15% Molinara and/or others), even if only for a matter related to the time and cost necessary for the renewal of the vineyard. Nevertheless the modification in the regulations has given great importance to Corvina grapes (Corvina and Corvinone) highlighting how decisive it is in the production of Amarone. This gave inspiration to several wine makers in Valpolicella to create 100% Corvina wines. In doing so it was possible for them to make an innovative product, going beyond the strict rules of Valpolicella procedural guidelines, while maintaining a strong bond with tradition and terrroir. 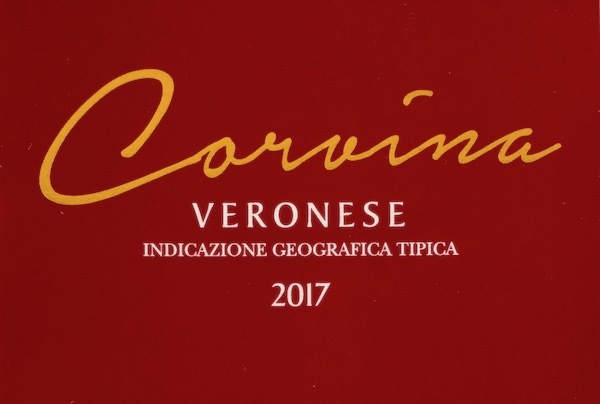 100% Corvina wines are therefore IGT wines because the wines with the denominations Valpolicella and Amarone must necessarily be a blend of at least 2 grape varieties, but they still use the most characteristic and unique grapes for the territory and its products. There are already several producers who have been producing and marketing 100% Corvina wines for the past few years. The range of types and results is already quite wide, going from simple table wines to bottles that in some cases are the top label of the cellar. On one hand there are light wines, made from fresh grapes, where the characteristic scent of cherry and sour black cherry typical of Corvina is exalted to the maximum. These wines are in the same range as the Valpolicella Classico, both in terms of price and in the type of pairing as an everyday wine. An example of such wine is Campagnola Corte Agnella. Then there are 100% Corvina wines of medium structure, from more selected grapes, which undergo a short drying period (appassimento), usually one month (Amarone makes three), and then generally age for one or two years in barrels. Cherry remains the dominant note here, but it is softened and enriched with complexity, with notes reminiscent of berries, jam, sometimes animal and undergrowth scents, with spices due to the type of wood in which they aged. In terms of price and pairings, these wines normally fit in the Valpolicella Superiore and Ripasso range, just below the Amarone. Finally, there is a company like Allegrini, which has made a 100% Corvina its flagship wine. In fact, both in terms of price and prestige, the Poja wine is even superior to Allegrini’s basic Amarone. La Poja, is the name of a small vineyard, located on the top of the hill of La Grola, one of the most suitable areas for the production of Valpolicella wines. The stony and arid soil, the exposure to Sun and to the breezes of Lake Garda, give very low yields of grapes, whose juices are extremely rich and concentrated.